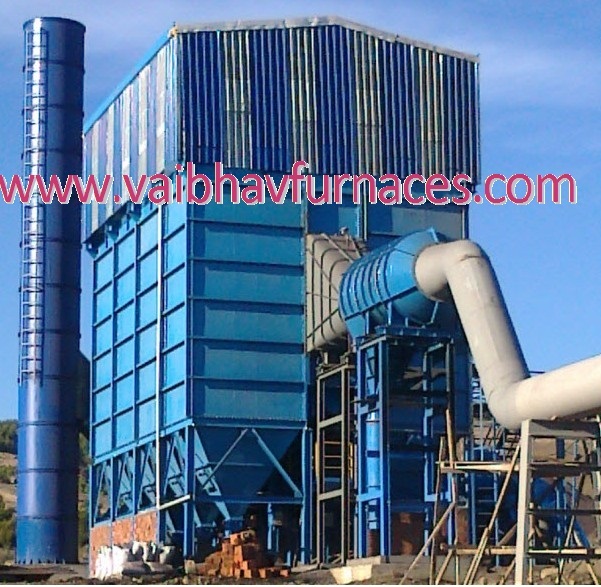 POLLUTION CONTROL EQUIPMENTS : VMSPL India Manufactures ,Supplies & Exports Fume Treatment Plant(FTP). 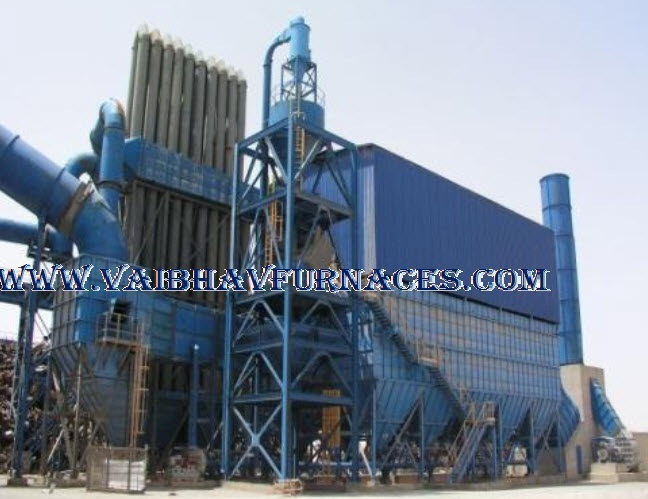 Our "State-Of- The- Art" Technology is based on in house Engineering On "3D Software".﻿ We supply Fume Treatment Plant on turnkey basis for Steel Plant & Ferro Alloys Plants , including "Level-1" Automation System. 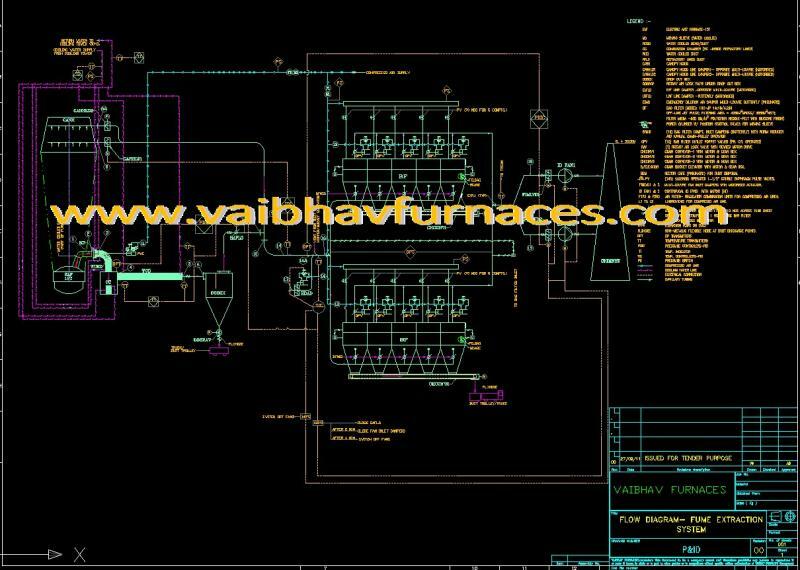 Fume Treatment Plant Design from 0.1Million Nm3/Hr to 2Million Nm3/Hr. System is designed for the operating temperature of filter bags as 130deg.c and accordingly gas cooling equipments selected. 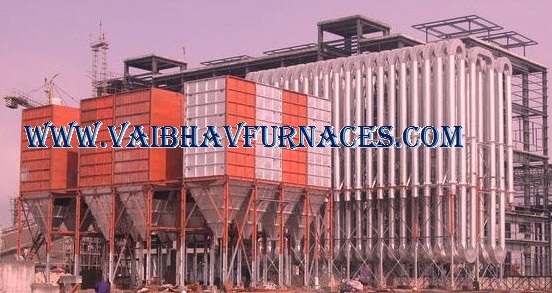 Combustion Chamber for Close Hood Furnaces, for Safe oeration. 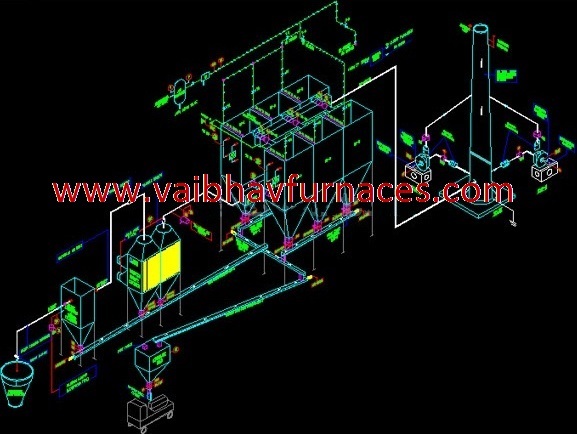 Complete Design/Dimensioning of Roof Elbow , Duct to Combustion chabme, Moving Sleeve, Combustion Chamber, Water Cooled Duct, Butterfly Valves(water cooled and non-cooled), Gas Cooler, Bag House , Stack. Special hood under which Scrap Charging Car travels & charges scrap into the Furnace Crucible. The Hood may be so designed that it covers fume of Ladle also during tapping. Revamping of complete FTP System. 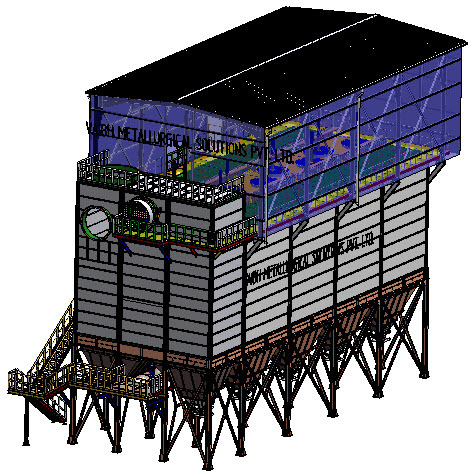 BAG HOUSE & STACK FOR 18MVA SUBMERGED ARC FURNACE.